Sharing a project I made at a class with the lovey Monika Maksym a week last Saturday. I so enjoy taking workshops with other tutors, especially when I learn something new which I did with Monika but also as it keeps my feet grounded in what it's like on the other side of the fence. 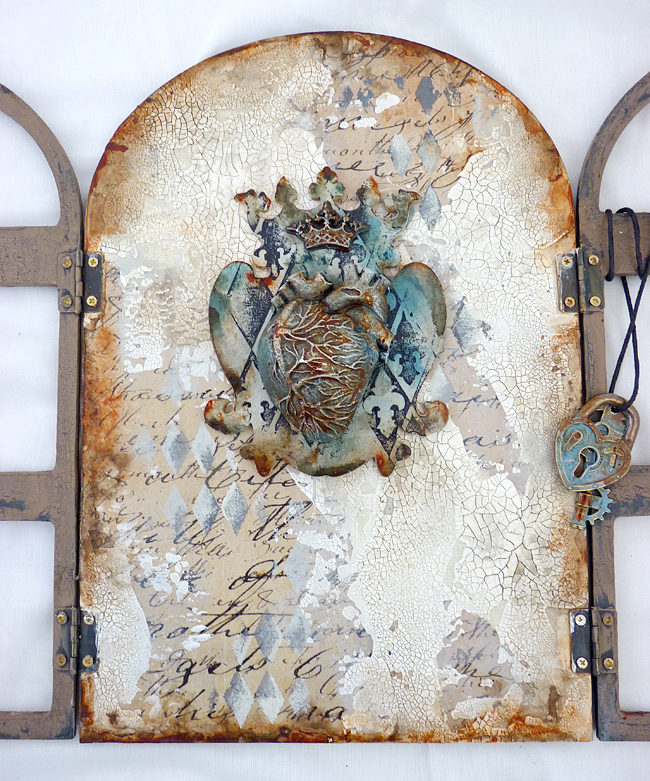 ... layered onto a heart shaped board with a crown. We used chalky finish paints as well as media fluid acrylics from DecoArt and three different types of crackle medium. 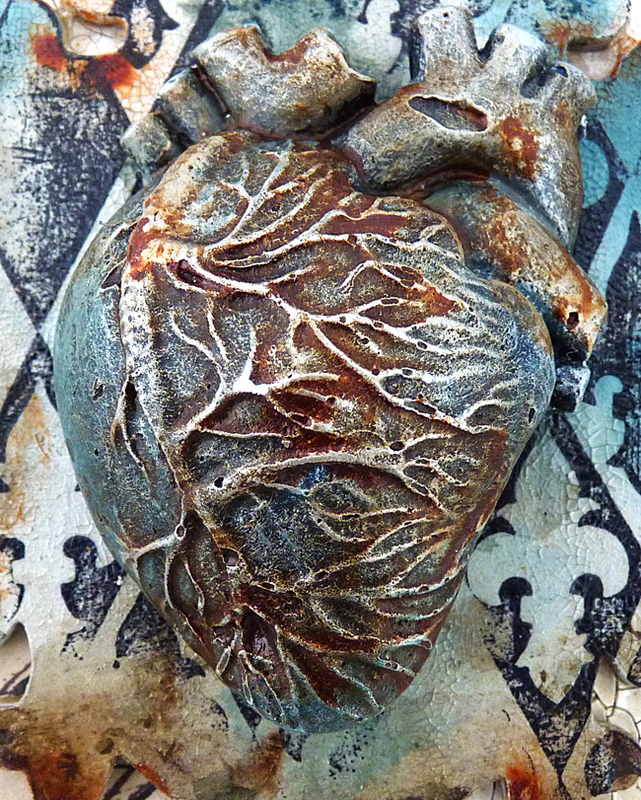 My heart was painted with prussian blue and raw umber before dry brushing a light chalk paint, some silver and then flooding it with a wash of quinacridone gold. ... this looks amazing on a shelf in my workroom. Such a lovely way to spend a day with like minded people and enjoying the processes of making art. 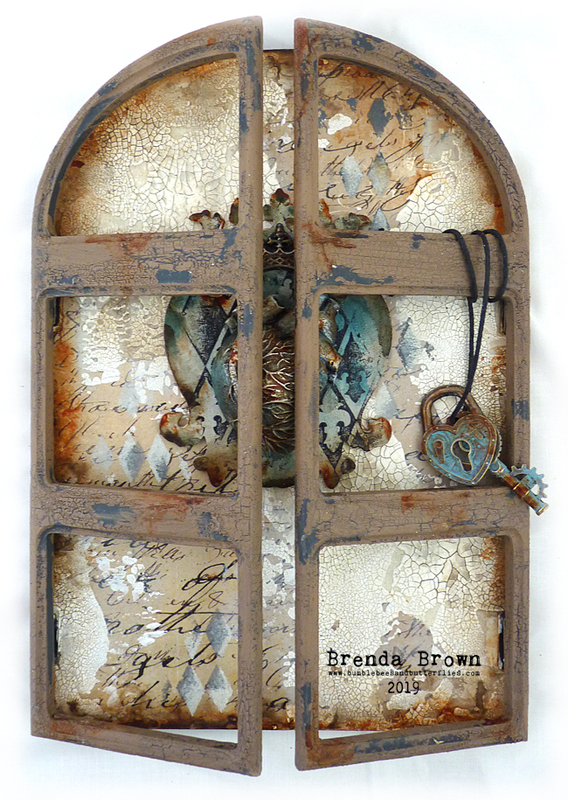 Oh my Brenda what a stunning creation, how that heart stands out in the window sharing every detail. 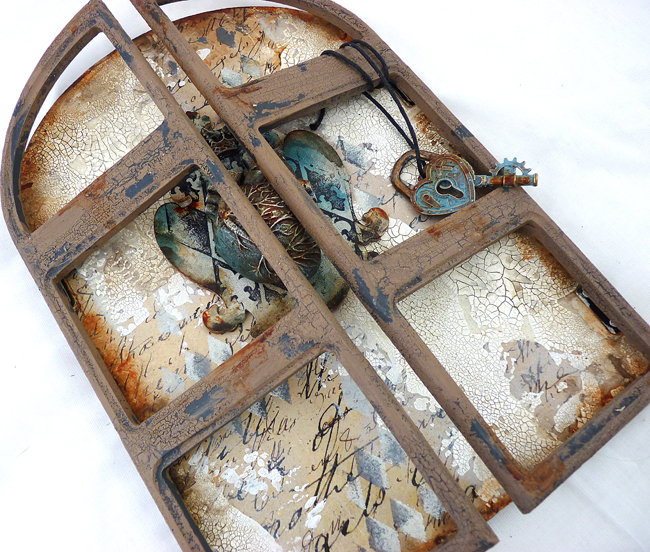 Loving those crackles and the way those window frames replicate wrought iron, it makes my heart skip a beat... oh boy! What a wonderful day you must have had crafting along side those that share the same passion. I bet that craft room shelf of yours is a full of inspiring and creative makes. So glad you have shared this incredible piece today. OMG - this is out of this world! What a fantastic project! I love all about it Brenda! Yes we can learn about so many wonderful techniques from workshops and I can imagine how inspiring and motivating such live - workshops are! Here aren't such things offered, so I have to be happy to find things online. Its a gorgeous project and the heart you created looks fantastic. It must have been a super day crafting with friends. 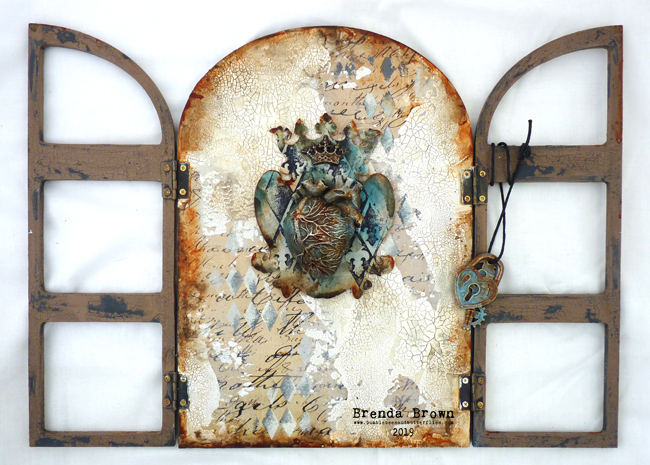 Wow, Brenda, a stunning piece, - those opening doors are so clever and I love that super grungy heart!! Must have been an amazing workshop!! This is fabulous! 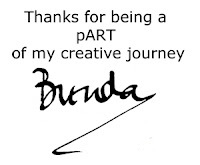 Brenda . oh my that heart........how can anyone not fall in love with that stunner !!! WOW lady! A stunner for sure, and with the doors, knock knock!!! LOVE the painting on the heart too! 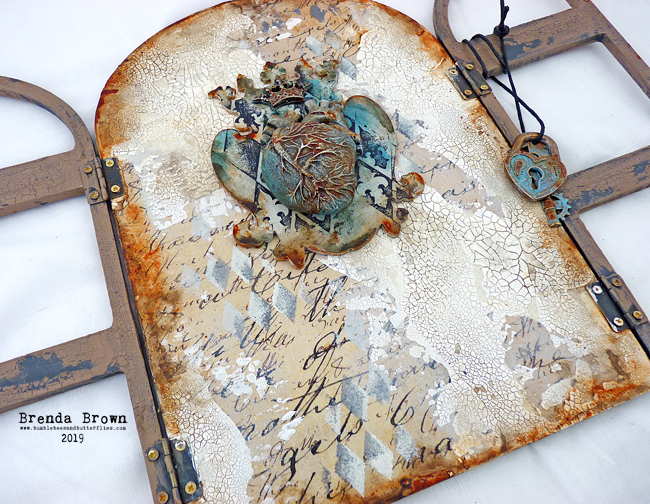 It's stunning, Brenda - looks like you had a ball at the workshop, and I'm sure we'll be seeing more of these ideas and techniques - they fit so perfectly with your own brilliant work with the DecoArt goodies. 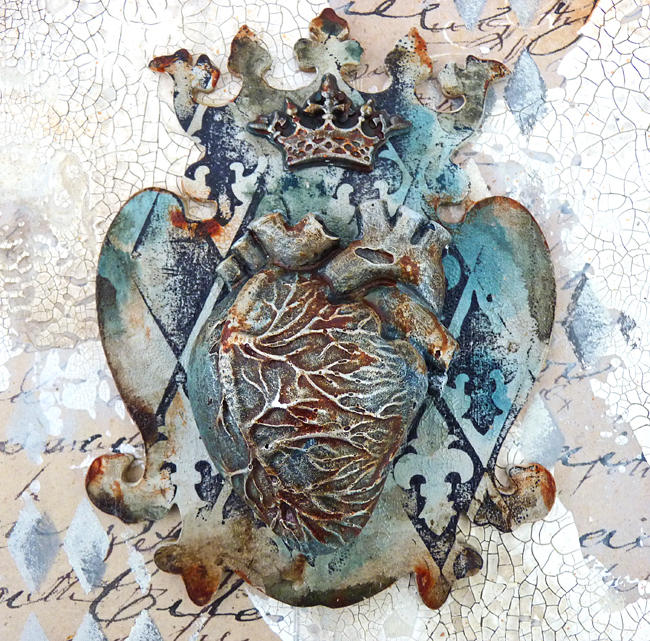 The heart looks just amazing, and I love all the weathered crackled layers of the frame and the background panel.